Bits of the oldest known pottery, some 2,000 years older than previously found pieces, have been uncovered in China, researchers said in the US journal Science on Thursday. 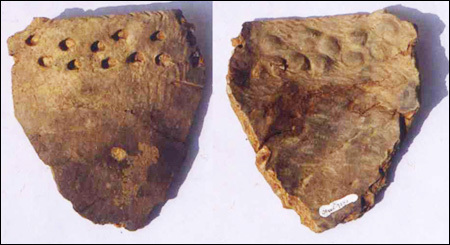 The fragments were believed to belong to a community of roving hunter-gatherers some 20,000 years ago and apparent scorch marks indicate they may have been used in cooking. However, their early dating, determined by a recent radiocarbon analysis of the nearby sediment, indicates that the pottery came long before the advent of agriculture, perhaps by as many as 10,000 years. And the pieces are older than other similar finds in hunter-gatherer contexts in China, Japan, and the Russian Far East, said the study. The pottery was found in the Xianrendong Cave in northern Jiangxi Province, China, some 100 kilometers (60 miles) south of the Yangtze River. Radiocarbon dating shows that the cave was likely used by people from about 29,000 years ago until 17,500 years ago. It was then abandoned and reoccupied from about 14,500 years ago until 12,000 years ago. The earliest pottery found in the cave is believed to date back about 20,000 years ago, said the study by researchers at Peking University in China, Boston University and Harvard University in the United States, and Eberhard Karls University in Germany. That period was known as the Last Glacial Maximum (LGM), about 25,000 to 19,000 years ago. 2만여전에 만들어진 인류 최고(最古) 토기의 조각이 중국에서 발견됐다. 중국 베이징대학, 미국 보스턴대학 및 하버드 대학이 공동으로 연구해 28일 과학 학술지 '사이언스'에 발표한 바에 따르면 중국 장시성 셴런둥 동굴에서 2만여전에 만들어진 것으로 추정되는 토기가 발견됐다. 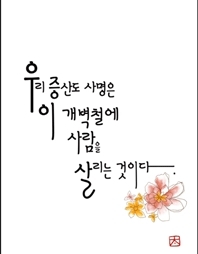 이는 지금까지 발견됐던 최고 토기보다 2천여년 앞서며, 농경시대가 시작되기 1만여년 전에 만들어진 것이다. 이번 발견은 1만여년 전 인류가 정착생활을 시작한 농경시대에 들어와서야 토기가 사용됐다는 그간의 학설을 뒤집는 것이다. 다시 1만4천500년 전부터 1만2천년전까지 인류가 거주한 것으로 보인다고 밝혔다. 적절치 않은 도구이지만 빙하기에는 식량이 귀해 토기를 사용할 필요성이 제기됐을 것이라고 추정했다. 식량을 구하기 어려운 만큼 식량을 잘 보관하고, 끓이거나 쪄서 식량의 영양분을 충분히 섭취하기 위해서는 토기가 필요했을 것이라는 것이다. 이번에 발견된 조각은 높이 20㎝, 지름 15-25㎝의 토기 중 일부로 보인다. 학자들은 또 수렵인 집단의 규모가 커져 집단 내 사회적 긴장도가 높아지자, 이를 해소하기 위해 술을 주조하기 시작하면서 토기가 사용됐을 수 있다고 분석했다.